Hoops outside the Memphis Rox gym in Soulsville, Memphis, Tennessee. Julyann Carvalho. In July of 2018, Chris Dean, a 26-year-old African American from South Memphis, was standing outside the Memphis Rox gym, which he helped found, when two elementary school-aged kids from the neighborhood approached him. “Hey, man, how much does it cost to go in there?” one asked. A Soulsville local cuts his teeth on a boulder at Memphis Rox. Photo: Julyanna Carvalho. 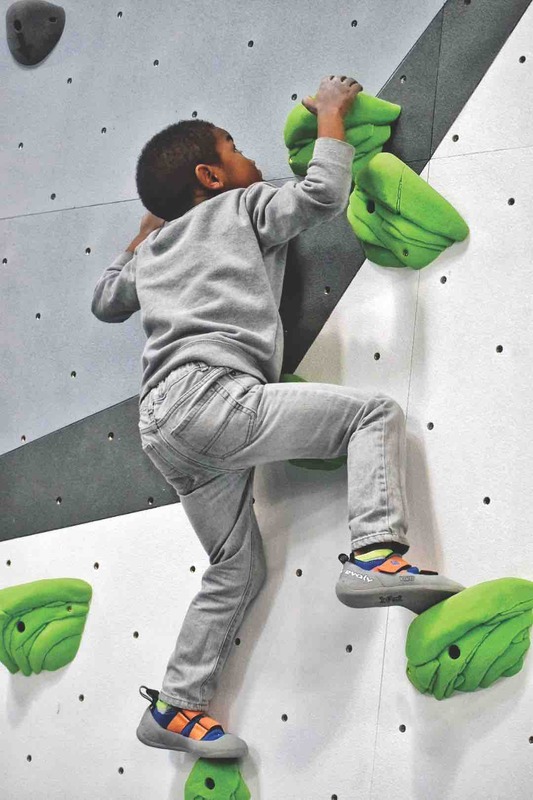 Founded by Hollywood director Tom Shadyac—whose father, Richard Shadyac, was instrumental in developing the nonprofit St. Jude Children’s Research Hospital in Memphis—the Memphis Rox climbing gym runs on an experimental pay-as-you-can membership model. It’s the only gym of its kind in the country. “Anyone can climb here,” Shadyac says. 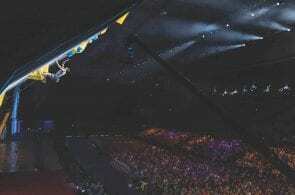 While climbing is notorious for its dirtbags and Sprinter Vans, it has been largely inaccessible to underprivileged urban youth. Shoes cost money, harnesses cost money, and there are few outdoor gear shops in inner cities … forget about it. 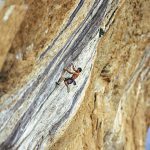 Additionally, in urban areas where 16 percent of people live below the poverty line, compared with just over 13 percent in rural areas, according to 2015 Census Bureau data, youth have limited or no access to outdoor climbing. This is where gyms like Memphis Rox—which opened in March—are changing the game. Memphis Rox gives inner-city and at-risk youth a chance to experience climbing for the first time. 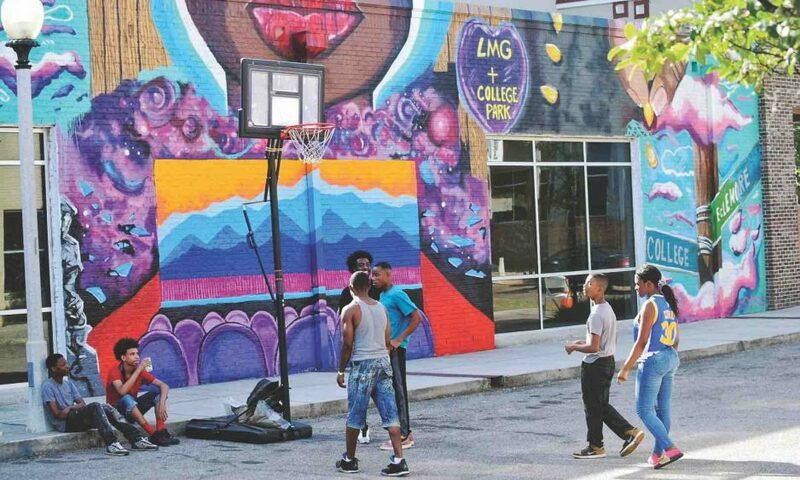 The 32,000-square-foot gym is in the heart of Soulsville, one of the poorest neighborhoods in not only Memphis—which had a poverty rate of 26 percent as of 2015, 12 percent higher than the national poverty rate—but in the entire country. It is also one of the most violent, with a homicide rate 64 percent higher than Chicago’s in 2016. Zack Rogers, the gym’s director of administration, says that giving back to the community counts as “currency” at Memphis Rox if someone can’t afford a membership. To “pay” their way, someone who wants to climb can volunteer anywhere in the Memphis community or be a volunteer belayer at the gym. Volunteer hours earn a membership. In addition, the gym has a mentorship program that pairs kids with staff mentors based on their interests. Meeting with their mentors five times per month earns the kids memberships. Memphis Rox is perhaps the most remarkable instance of such a program, but it was not the first. The Mountain Goat, a 5,000-square-foot gym that opened its doors in South Carolina in 2012, was the nation’s first 501(c)3 nonprofit climbing gym. Unfortunately, the Goat struggled to stay afloat. Jarvis Dean, 18, of Soulsville works on a problem at Memphis Rox. Photo: Julyanna Carvalho. 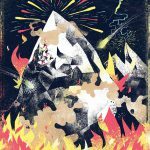 “There’s really not a ton of financial benefit in the nonprofit model for a climbing gym,” Ryan McCrary, the Mountain Goat’s founder, said in a 2016 Climbing Business Journal article. “From the side of serving the kids, it’s fine, but we will eventually be spinning the gym into a for-profit in order to raise the capital needed to build a true commercial facility.” The Mountain Goat has since shut down. 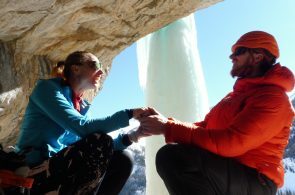 Despite the Mountain Goat’s struggles, other organizations have found creative ways to combine community service and climbing. 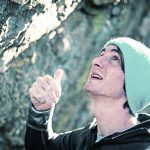 In the Montbello neighborhood of Denver, Colorado, The North Face is partnering with the Trust for Public Lands (TPL) to open a free outdoor bouldering area. Daniel Woods, Margo Hayes and Matty Hong supervised a climbing workshop where kids from the community designed the bouldering structure themselves, holds and all, using clay models and drawings. The finished product, a 180-square-foot boulder, stands almost 12 feet high, features 13 problems from V0 to V3 and is completely naturally featured. 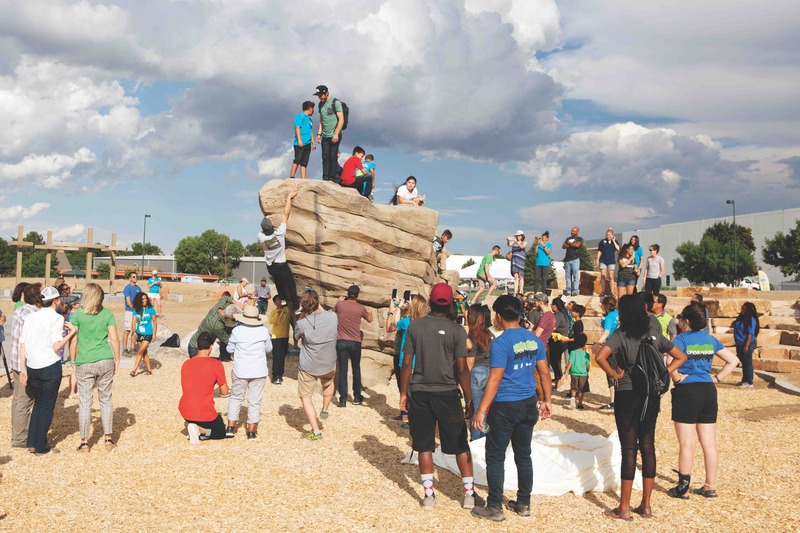 The climbing park, built by the Trust for Public Land and The North Face, was designed by local kids in the Montbello neighborhood of Denver, Colorado. When it opens in early 2019 it will be free for everyone. Photo: Trust for Public Land / The North Face. 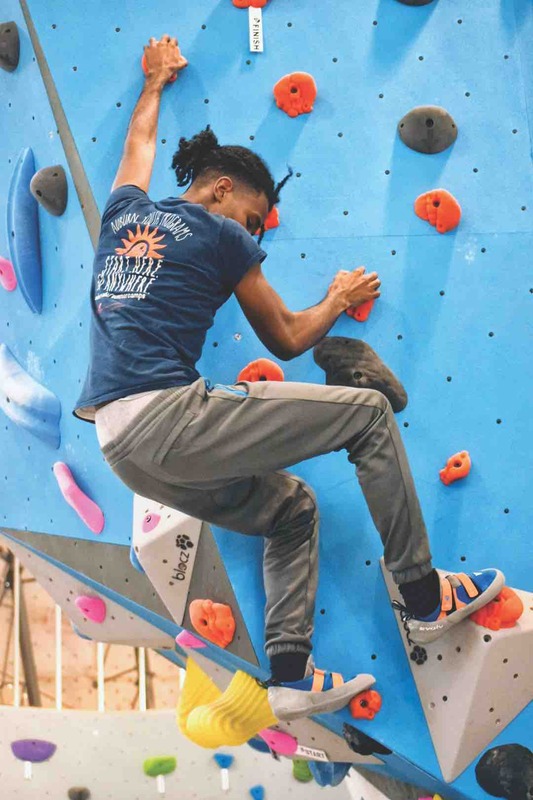 There are also organizations like the Brooklyn-based Brothers of Climbing, which hosts events and gatherings for minority climbers and promotes participation in climbing by more people of color. And there are similar initiatives at other gyms. Touchstone gyms have partnered with the nationwide mentoring program Big Brothers Big Sisters of America to allow all “Little” siblings to climb for free so long as their “Big” siblings are members. 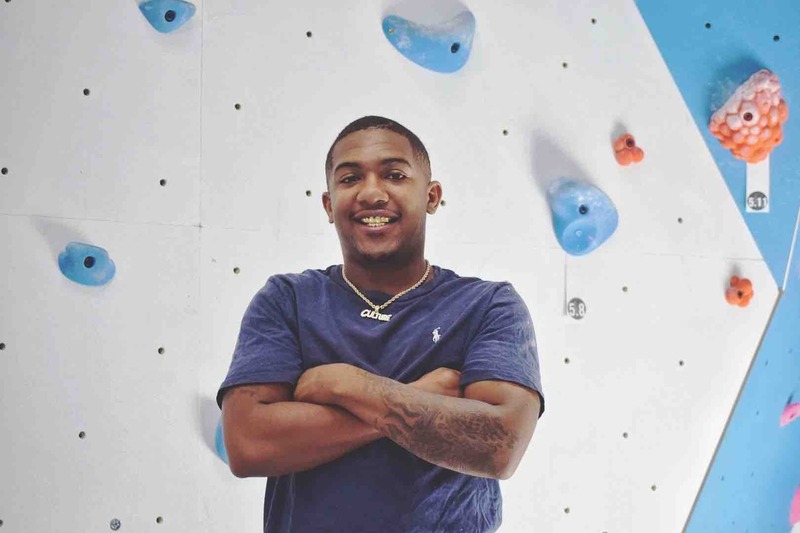 Touchstone’s Great Western Power Company gym in Oakland is creating an after-school climbing team and mentorship program for underprivileged youth of color. LA Boulders is working to build a climbing wall at the Boyle Heights Boys and Girls Club. The Boyle Heights community, which is 94 percent Latino, has one of the highest population densities in L.A. County, and almost a third of the population lives below the poverty line. Eighteen-year-old Jarmond Johnson, who works at Memphis Rox, was raised, along with his two sisters, by a single mother. “Ever since I was 6 or 7, I had to be the man of the house,” he says. On Johnson’s second day at work, his fellow staff pitched in and helped him raise $700 to defray the cost of bringing his brother-in-law’s body home. As a child, Chris Dean lost his father to gun violence not far from Memphis Rox. He began his life, he says, “worrying about what gangbangers were getting out of jail, what gang they claim, and what colors I should wear around them.” After his high school won a national competition, he had the honor of introducing President Obama as the speaker at his school’s graduation. He went on to intern at the White House and graduate from Lane College on a scholarship. Jarmond Johnson was raised by a single mom and grew up being the man of the house. He now works at Memphis Rox. Photo: Julyanna Carvalho. Only a few months along, Memphis Rox is showing no signs of slowing down. “As of right now, the vast majority of members actually pay, and some people are paying it forward, paying more than the suggested $55 per month,” says Director of Administration Rogers, who notes that the gym’s initial hopeful projection was at least 300 members paying the suggested dues by the end of their first calendar year of operation. After only three months, Memphis Rox has over 700 paying members. 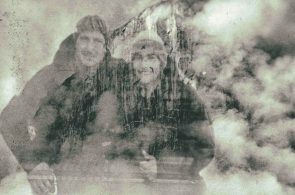 Owen Clarke began climbing in rural Alabama at the age of 11. He is a senior at the University of San Diego and recently interned at Rock and Ice and Gym Climber. 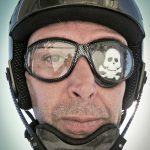 This article appeared in Gym Climber issue No. 1.